Frank Cummings has been a working commercial artist for over 30 years. His early career was spent working in newspaper and advertising agency art departments. In 1992, he self-published JAB, a regional (southeast) illustrated satire/humor magazine. By 1995, the magazine had caught the eye of exercise guru Richard Simmons and national humor mag, Cracked. Frank spent the next nine years producing Richard's monthly newsletter, Richard Simmons & Friends, and illustrating monthly movie parodies for Cracked. In 2004, Frank was hired by King Features Syndicate and Dean Young to be the assistant artist (to head artist John Marshall) on the iconic comic strip, Blondie. 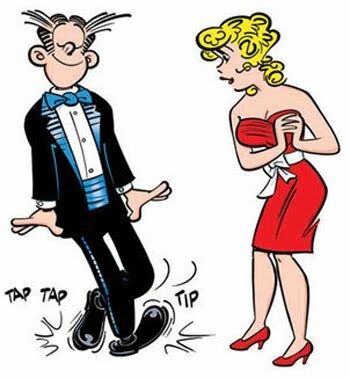 Frank illustrated the Monday-Friday strips, read by millions of people in over 2500 newspapers and translated into 35 languages daily, until his passing in 2014.